Being aware of how long heating oil lasts is an important element to for responsible heating oil customers. While there is an answer, there is much you can do to help ensure your heating oil stays viable for as long as possible. The short answer to the question “Does heating oil go bad?” is yes. Although the complete answer is a little more complicated than that. The good news is that typically speaking, heating oil should be good to use for 18 to 24 months.  For most users, that’s great news. It means that any leftover heating oil from the winter months will last the summer without loss of viability, regardless of quantity left over. There are a number of things that can affect how quickly No. 2 oil – the oil used for heating – spoils, though. But between user vigilance and awareness of what causes it to lose viability, customers can help extend the life of their heating oil to its full potential. Heating oil by itself doesn’t go bad, but external elements can and are introduced to the oil no matter how carefully it is handled. The first is bacteria. It’s impossible to keep these pesky little organisms out of the oil, but proper handling by a reputable oil company and proper storage on your property will significantly reduce the oil’s exposure to bacteria. Next, and one of the worst, is water. Even pure water creates issues with combustibility. But the kinds of water that gets into oil storage tanks is rarely pure. Chemicals, minerals, and bacteria can all be carried into your tank with water and will remain there even if the water is removed. As you can see, contaminants are what causes the oil to break down and lose viability. And the biggest way these contaminants are introduced to heating oil is poor storage. Rust, water, dirt, and other substances can end up in your oil if your tank is not well maintained. While there is no stopping a small amount of oil breakdown, heating oil customers can extend the life of their investment with a few simple tips. First, there are additives that can be introduced to extend the oil’s shelf life. But these additives must be added when your oil is delivered. It cannot be added later to undo spoilage. Talk to your heating oil provider to find out if they are providing additives when making your delivery. Next, have your tank regularly inspected. A professional can tell you about the integrity of your tank and if it might be contributing unwanted contaminants to your oil. 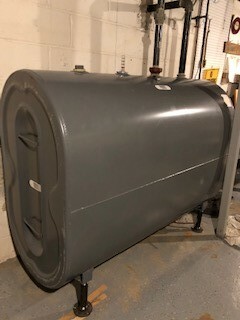 If you are considering purchasing a used tank, be absolutely certain that the tank is in good shape and has only been used for heating oil storage. It’s surprising what people place in an unused tank – old paint, gasoline, motor oil, and more – and once substances other than heating oil have been placed in the tank it is no longer suitable for heating oil. Minimizing the amount of oil you store for a length of time will also help ensure that the oil you use starting the fall will be in good shape and reliable. Most companies have a minimum amount that they will deliver, but beyond that minimum, only order as much as you’ll need to keep your home or business comfortable through the fall, winter, and spring. If all else fails, and you have a large amount of heating oil left over, you can ask your heating oil company to come out and remove the old oil from your tank. If you follow the above guidelines, it’s unlikely you’ll need to take this more expensive step. If it comes to it, though, know that oil removal is an option.